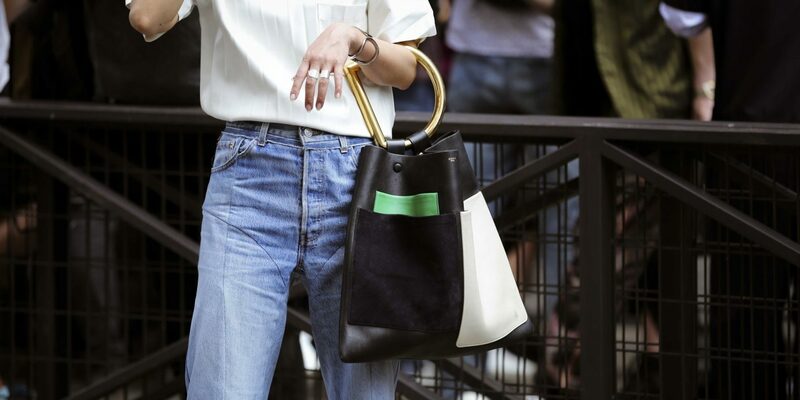 We’ll skip the schtick on how crucial denim is to our closets—that's a given. But finding a flattering fit and style isn't always so easy. 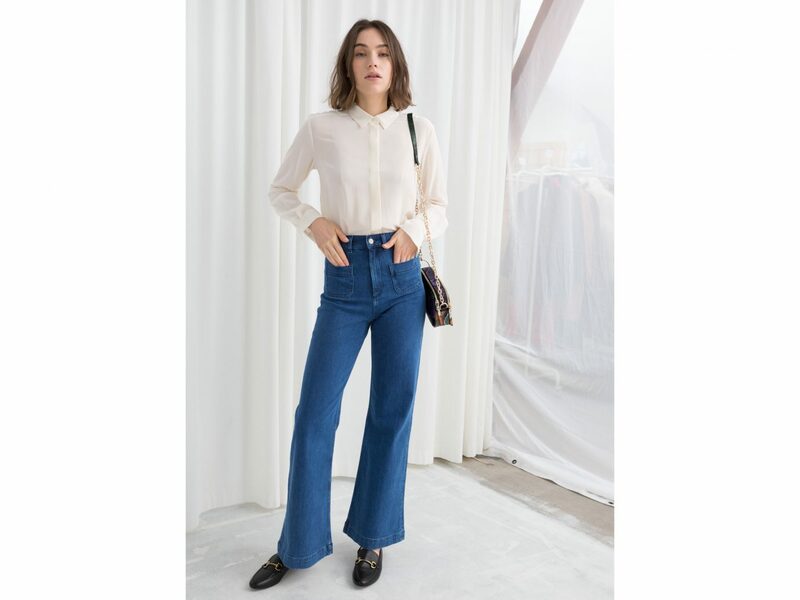 Tastemakers are shifting away from the vanguard skinny jean, and opting for a straight leg or gently flared silhouette instead. 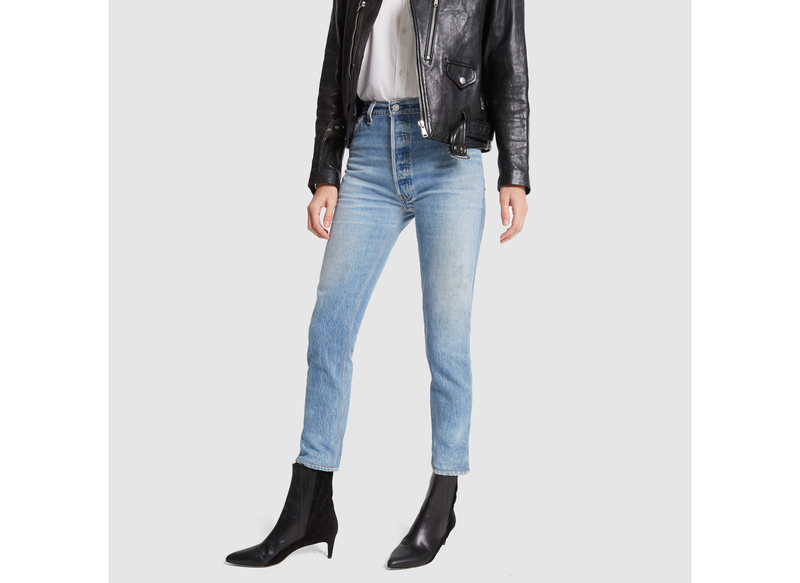 Whether you're sticking to the skinnies or want to try something new altogether, we've got 14 looks to satisfy every taste and budget. 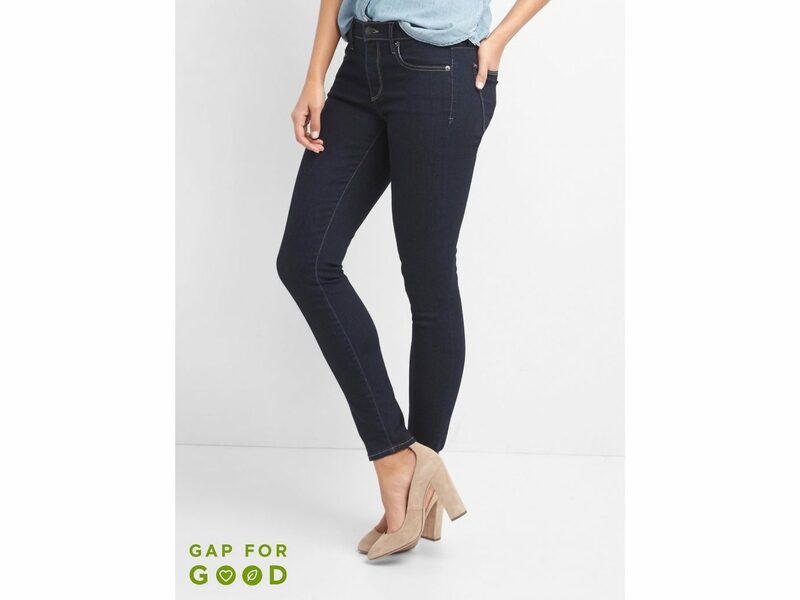 The Gap makes a great foundation jean, and this pair is part of an initiative to use 20% less water than other traditional washes. Look good and feel good. This updated classic straight leg hugs curves in all the right places. Yes, please. 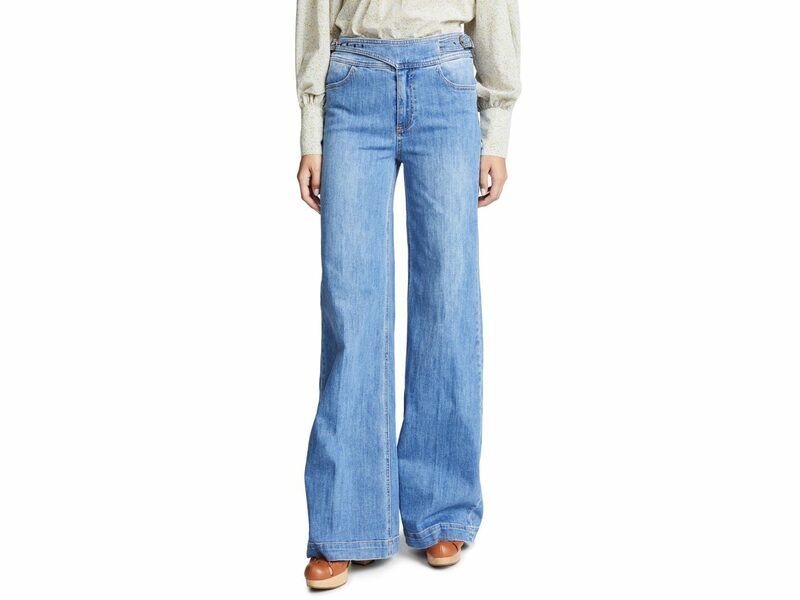 Nineties influence is dominant right now, but these 70’s-vibe high rise wide leg pants are also very of-the-moment. We're big fans of the pale blue hue, too. 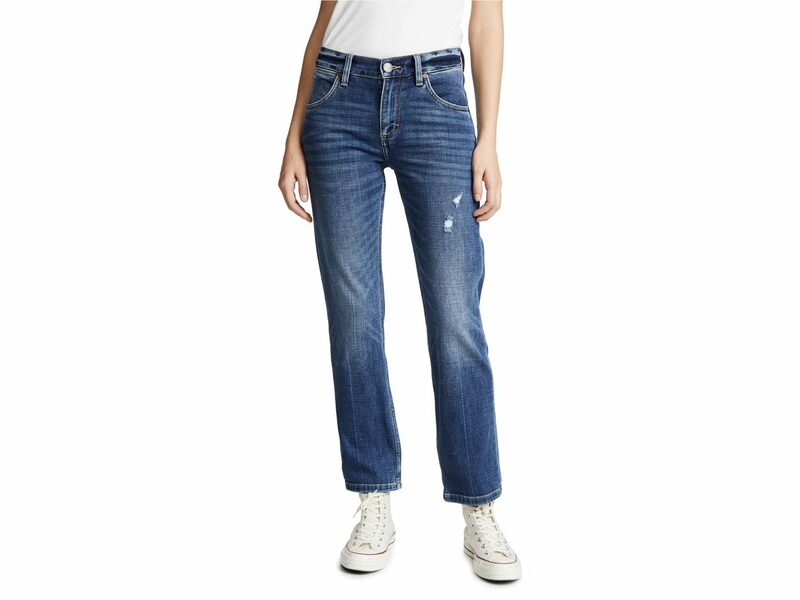 Raw hems are everywhere, and we love them on this slightly leaner boyfriend jean. 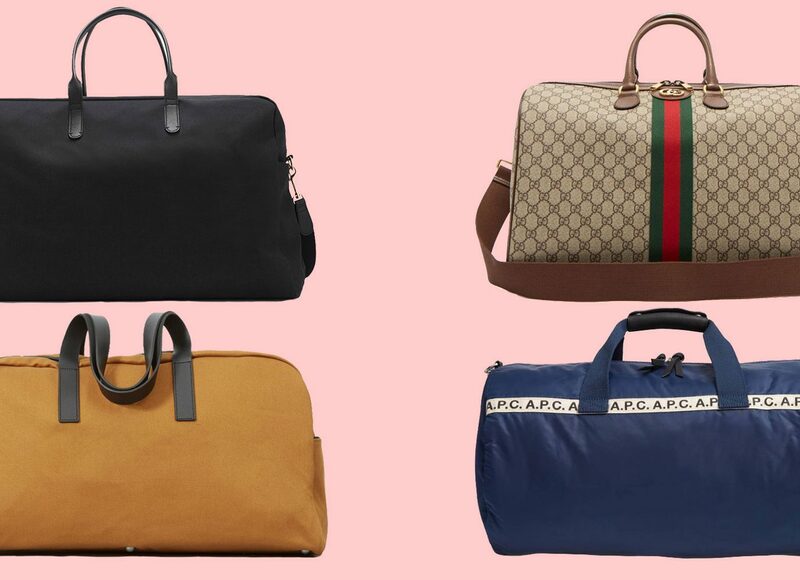 Get them in black and they'll pair well with everything. 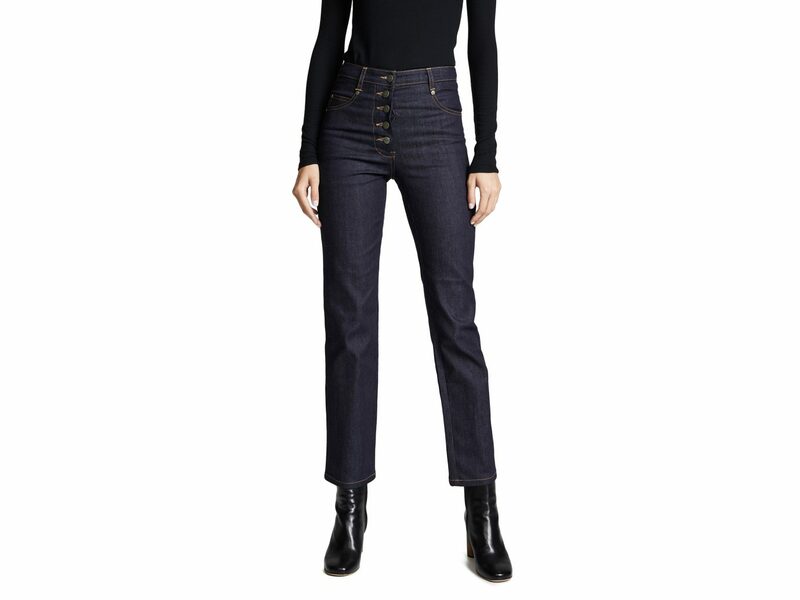 The front button fastening and contrast stitching is eye-catching on these dark blue jeans. 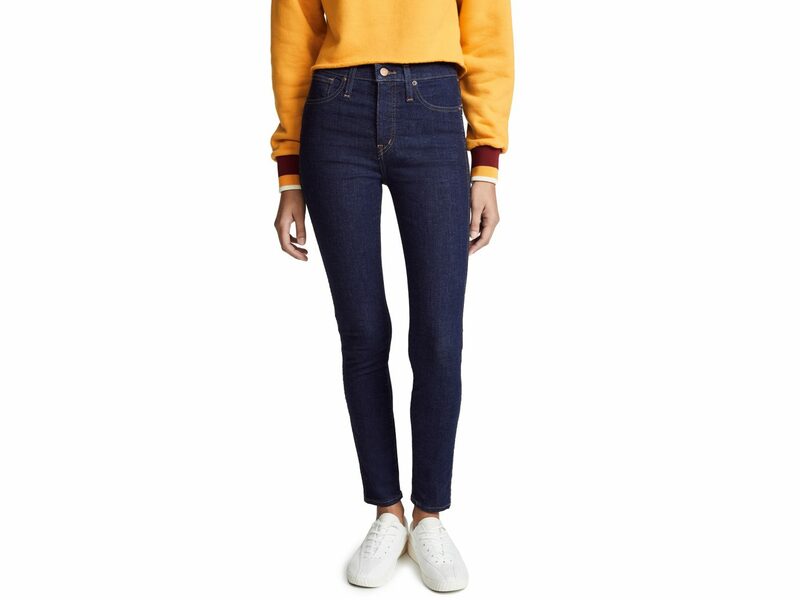 It’s a bold statement to make, but Madewell’s skinnies might be the best. The option between a 9, 10, or 11-inch rise is a godsend. 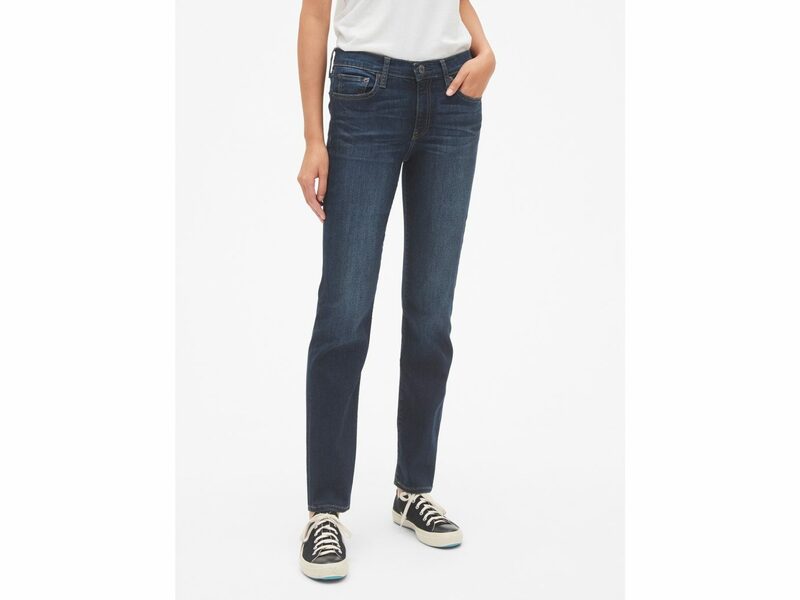 These technically have a mid-rise, but they sit high enough to still achieve that long leg look. 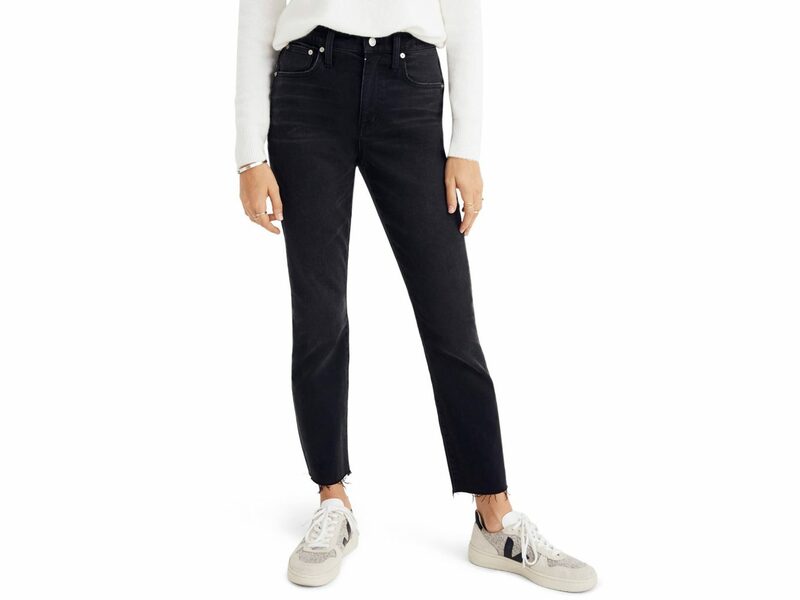 A dark rinse skinny will always be a staple, and this pair from the Gap is a great affordable option. 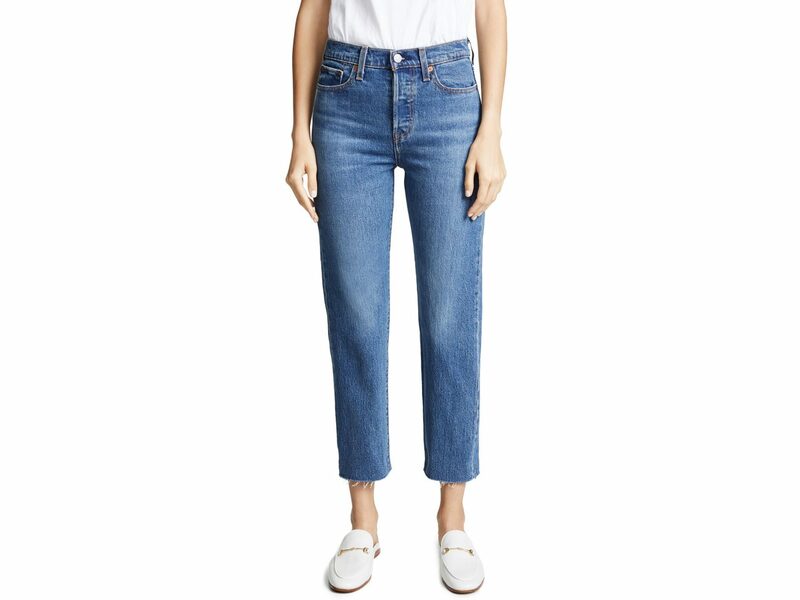 Slightly slouchy and super soft, these have an effortless-cool vibe. 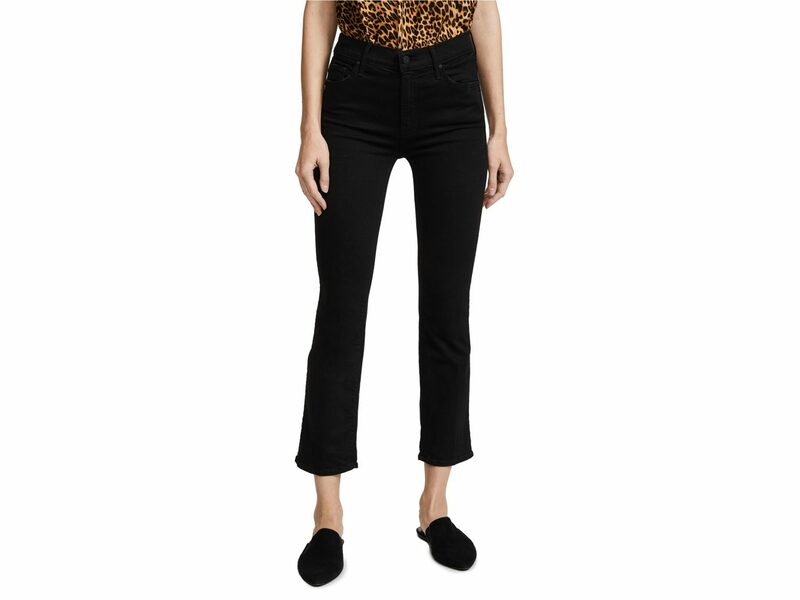 Cropped and slightly flared jeans are super flattering. Flash some ankle in warmer weather, but for now, work them with a killer pair of boots. 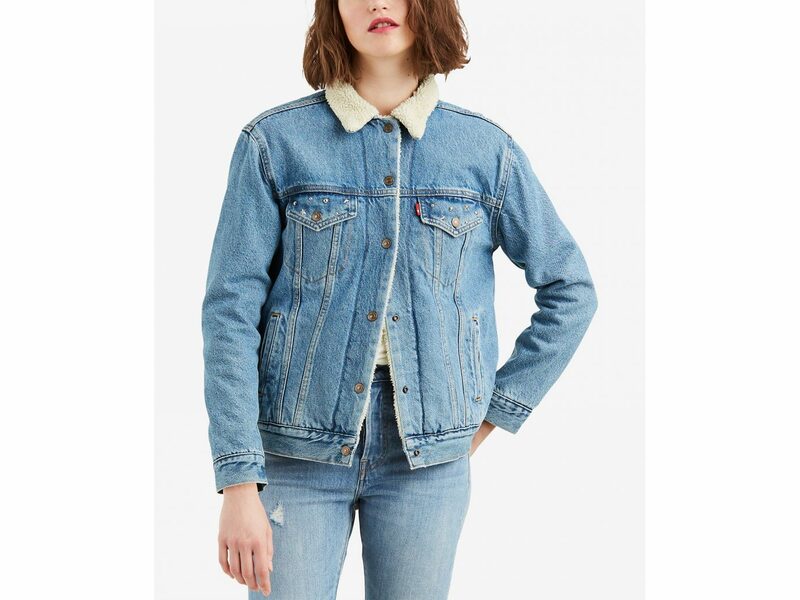 Re/Done takes vintage Levi’s and then recuts and alters them for a more modern fit. 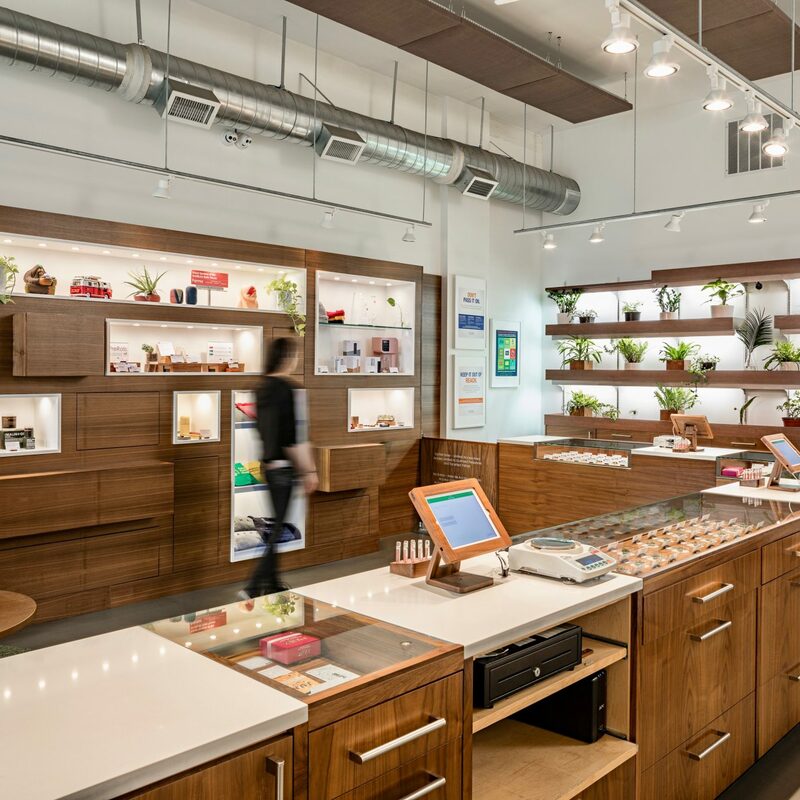 They’re the perfect combination of old and new, and a favorite among the style set. Surprise. 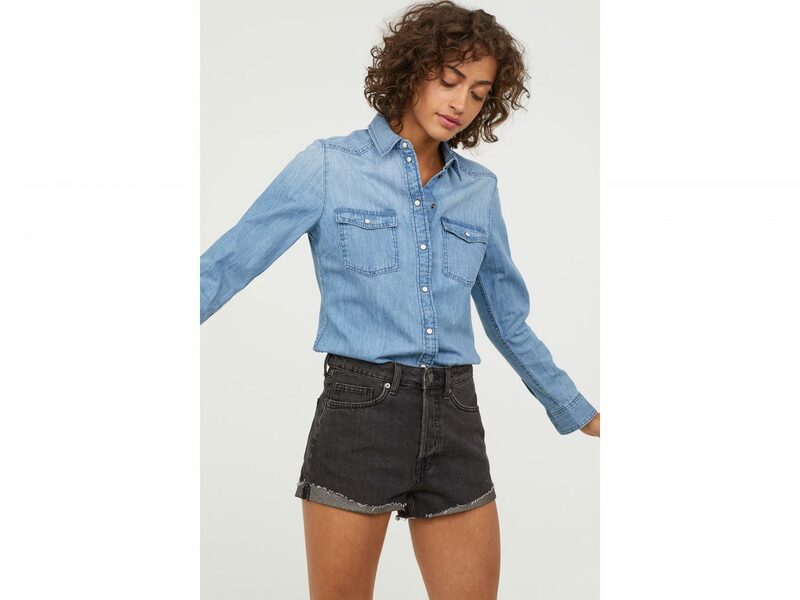 If we’re talking denim, we can’t forget a denim shirt. Snap buttons, chest pockets, and yoke detail make this H&M number a solid choice. This fleece-lined classic is a perfect layering option in cold weather.